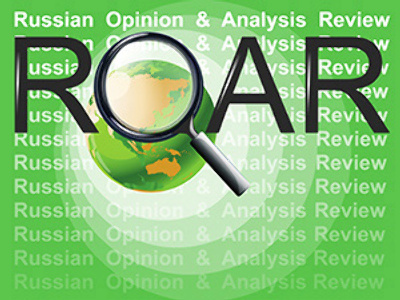 This Monday, ROAR presents an optimistic forecast by Thierry de Montbrial and Sergey Karaganov’s praise of U.S. president Barack Obama for re-introducing nukes to our thinking process. Today’s edition of ROSSIYSKAYA GAZETA publishes an account of a lecture by the French academic, organizer of the Evian Conference, and founder of the French Institute of International Relations, delivered to an audience gathered at the French Embassy in Moscow. The famous thinker gives quite an optimistic forecast for the world despite the ongoing global economic crisis. He says the crisis is just another instance of trouble that history has in store for humankind, and that this crisis was as preventable as 9/11, only in both cases the people who had the responsibility to do it failed at their jobs. Montbrial says that after the collapse of the Soviet Union, the world lived for a short while under the illusion that everybody was sure that democracy would spread and conquer the world all by itself, the same method of economic governance would be used universally. and many difficulties (including inflation) would simply vanish. The current crisis came to sober us all up, asserts the academic, but adds that we should not see it as the end of the world, because it is not. The main reason for the crisis becoming as devastating as it is, was the blind belief in technology, especially computer technology, shared by the very people who were responsible for uncovering negative trends and taking steps to counter them. Montbrial continues that the structure of leadership may not change much after the crisis: the U.S. is going to maintain its status as the leading economy well into the 2050s, with China a close second. He says there’s no sense in suggesting that China will develop at the same rate of growth for 30 years – that’s plainly impossible for any nation. Apart from that, there is also Japan, which remains a great power in its own right. Of the new U.S. president Barack Obama, Montbrial says that Obama got lucky – as anyone would have been if he replaced Bush. The famous French thinker also said that he considers the recognition of Kosovo as an independent state to be a grave mistake. He says the former republics of Yugoslavia and the Soviet Union that had the right of secession from the federative states they had been part of, are very different from Kosovo, which never had definitely defined borders. He says the Kosovo case is a great failure of diplomacy. In the previous issue of ROSSIYSKAYA GAZETA, there is an opinion article by another well-known thinker, Russian Sergey Karaganov, who writes that the epoch of semi-global anti-Americanism is coming to an end. That is, an America of badly conceived policies which created a pile of problems for the rest of the world, is being replaced by an America that has achieved at least one success since the beginning of Barack Obama’s presidency: it is going out of fashion in the world to badmouth the U.S.
That is a positive change to all, including Russia, writes Karaganov. Meanwhile, a major challenge for the U.S., Russia, and other nuclear powers, is the renewal of the nuclear disarmament process. Nothing here is easy, and simply cutting down the nukes to previously unheard levels is not ending the problem. Karaganov says that his heart feels and understands the appeal of the idea of total nuclear disarmament, but his mind refuses to accept it. In Europe before nuclear weapons, kings and peoples killed each other with total abandon. There were two devastating world wars in one century. and would have been a third – if not for the nukes. He says it is proven by documents of both governments that ‘mutually assured destruction’ indeed cooled off the hottest heads in the White House and in the Kremlin for decades. The presence of nuclear weapons was a mighty civilizing factor that kept pushing the radicals and radical thinking out of the elites of the two superpowers. The suggestion by the new U.S. president of a new agenda in nuclear disarmament is useful, first of all because it brings the civilizing meaning of nuclear weaponry back to the center of our consciousness, says Karaganov. He says Barack Obama should be thanked for returning nukes to their rightful place in our minds. ‘But,’ he says, ‘I wouldn’t advise anyone – first of all, not the Russians or the Americans – to seriously consider significant cuts in modern strategic nuclear weapons. At least until human nature changes enough. Kings and peoples kept killing each other by the millions in the past, when they still believed in God and feared hell. Now they hardly believe, and definitely have no fear." Therefore, for the good of us all: let the Sword of Damocles continue hanging over our imperfect heads, writes the Russian academic.